If you see a girl in metro juggling with two bags and frizzy hair, that’s me. Trust me sometimes I have prayed to god if I could get a magic wand and get my hair frizz less. But some dreams just remain dreams. Still I would thank him for sending some helpers like conditioner (I will share in my upcoming post which conditioner I am using these days to maintain my hair) and shampoo. It’s said that winters are best time of year to try new shampoo. So I got a new shampoo and my new haul is So Silk Shampoo. 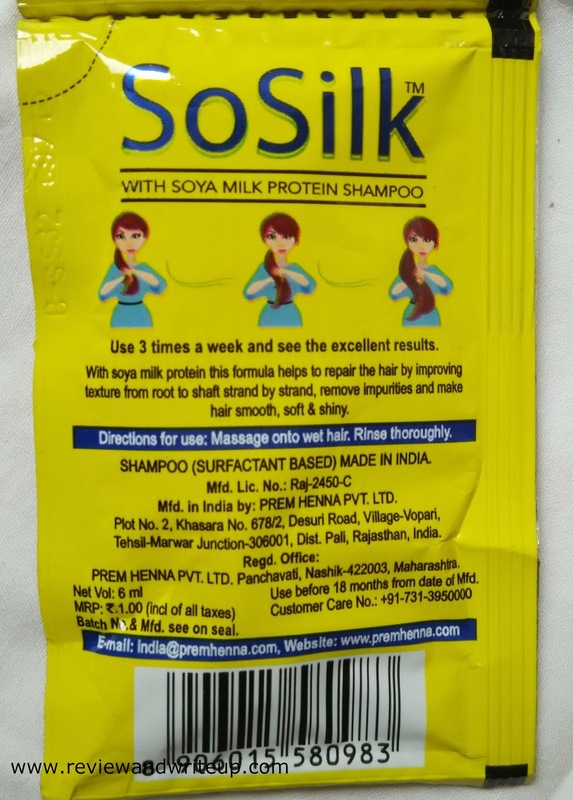 About the product – So Silk Shampoo in the new product of Prem Henna who are manufacturers and suppliers of hair color products. Brand also have ready to use mehndi cones. I was excited to try out their new product. 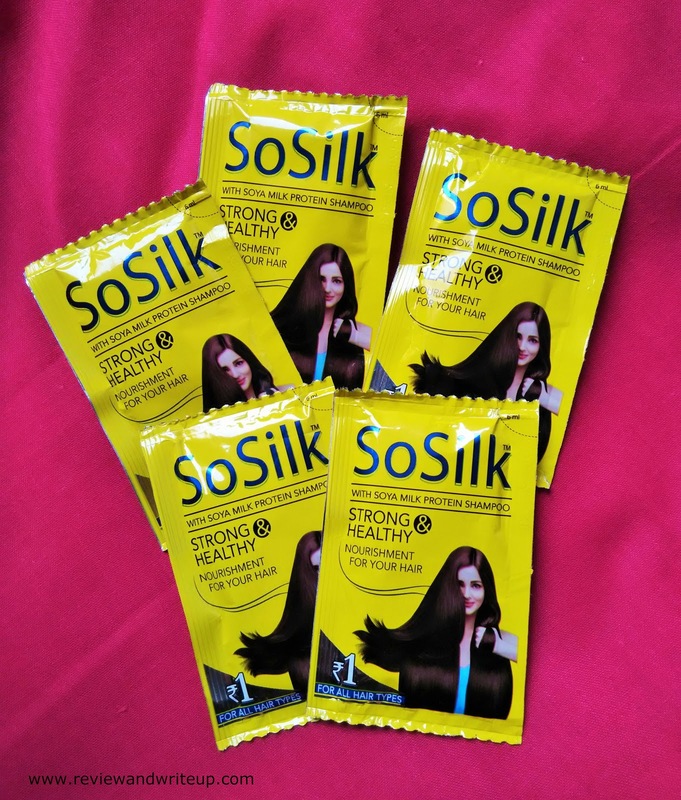 Packaging – As of now the shampoo comes packed in bright yellow color sachets priced at Rs. 1 each. Sachets has all the information written all over it. I am waiting for the brand to launch shampoo in a bottle. 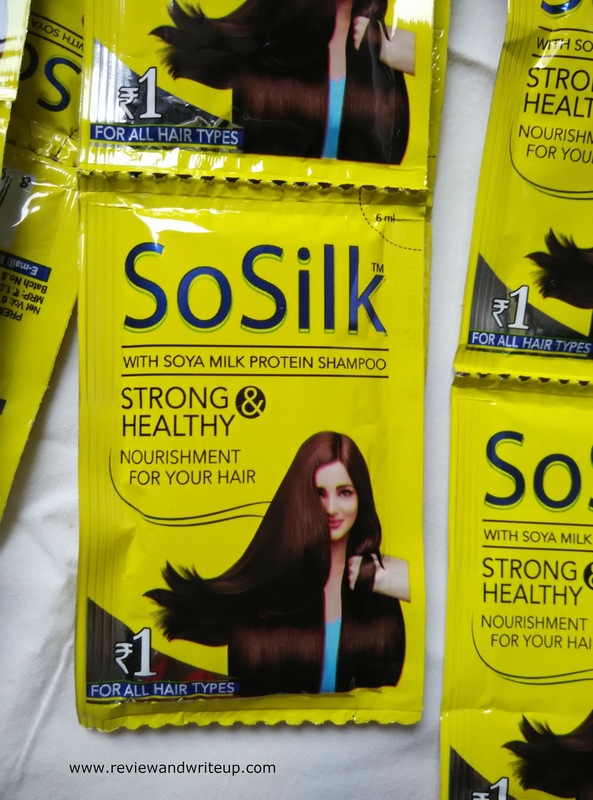 Claims of Brand – Shampoo is based on soya milk protein formula which helps to repair the hair by improving texture from root to shaft strand by strand, remove impurities and make hair smooth, silk and shiny. Shampoo is surfactant based. My experience with the product – I wash my hair thrice a week. So three times wash formula was apt for me as I could be done in a week. I always try to shampoo my hair after oiling. Only on rare occasions I skip oiling like if I am really late, didn’t have time for oiling. First day when I had to wash my hair I carried two pouches with me as I applied oil previous night. My idea was that I would need more than one pouch for sure. I have medium length hair. I rinsed my hair with water and squeezed out shampoo from one pouch. I gently massaged in my hair and to my surprise shampoo formed sufficient lather and only one pouch shampoo i.e. 6ml was sufficient for my hair. By the shampoo is white in color and smells great. After washing hair I applied my favorite conditioner (don’t be so impatient I will tell you about it next week) and washed my hair. When I combed my hair it was so much easier. After drying my hair were more manageable, smooth and silky soft. My hair were clean, shiny, and smooth. Hair remained manageable till next wash. In next wash I tried to skip conditioner and then also my hair were manageable, shiny and smooth except I can’t get rid of frizz. For Frizz I definitely need conditioner. I feel proud in reviewing this great shampoo. 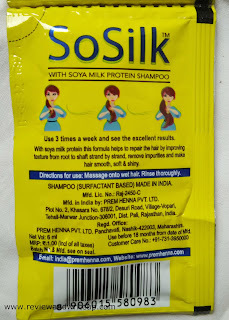 R&W Recommendation – If you are planning to change your shampoo try this one. You won’t regret it. Haven't heard of this brand. 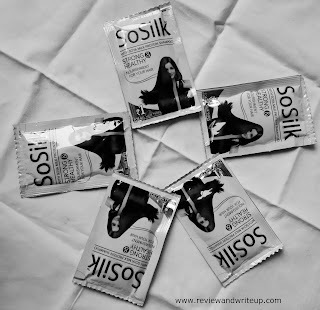 Thought it was Sunsilk at first. Sounds quite promising.